At any age, car repairs are a possibility. Some vehicles are more inclined to have specific issues too. When your car is still under warranty, you don’t worry about the cost of these repairs. But once you’re on the hook for your own car servicing, suddenly it’s very important to be in tune with your car’s health. That’s because you don’t want to pay major repair bills. Curious which failures result in the biggest repair costs? Here are the 10 most expensive car repairs you could encounter. No big surprise here. Of course, engine replacement is among the most expensive car repairs. If you’re at the point where you require a new engine for your vehicle, it’s likely due to a catastrophic failure or excessive wear, and usually from lack of maintenance. It’s going to hurt your wallet. Engine replacement will be between $4,500 and $7,000 for most common makes and models. The transmission is the second most important part in your car, converting engine power into torque you can control and use. Common issues include burnt clutches and broken gears inside. A rebuild is possible in many cases but is often close to the cost of complete transmission replacement. It could easily cost $3,000 to $5,000 for a replacement transmission. Truck and SUV owners beware: your differentials are not bulletproof. Proper maintenance includes fluid changes to keep gears and bearings well lubricated, and it’s even more crucial if you tow or drive off-road. The cost of not maintaining your diff is high – a diff repair can be from $400 to $2,660, depending on how involved the repair is. An overheating engine is the most common cause of cylinder head gasket failure. While it’s not as common an issue as it has been in the past, the cost is still high when a head gasket springs a leak. Expect the repair bill to be $1,200 to $3,000 to fix it up. A simple tie rod end replacement, a front strut, a rear shock absorber, a ball joint. All are small repairs on their own, but suspension repairs usually happen simultaneously. When you’re dealing with suspension repairs, it could range from $350 to $3,000, and don’t forget about the 4-wheel alignment! Its sole purpose is to clean the exhaust, but the catalytic converter smells like rotten eggs when it’s not working right. Whether it’s contaminated or the inner honeycomb structure has broken up, the catalytic converter will cost a pretty penny to replace. Prices range per model from $500 to $3,000 for a new one. Making heat inside your car’s cabin is all because of coolant flowing through the heater core, tucked underneath the dashboard. If the heater core springs a leak and needs to be changed, start saving up. Some models require that the dash is removed, stretching the costs sky-high. Yours could be between $500 and $1,800 depending on the labour involved. Pumping refrigerant through the A/C system is the role of the A/C compressor. If it decides to take a break from circulating refrigerant, you’re A/C won’t work and you’ll have to change the compressor. Chock the costs up to keeping comfortable while you pay the $400 to $1,650 bill. For the engine, transmission, and a whole host of other components, the powertrain control module acts as the brain. If it fails, there’s no telling what the symptoms may be. Diagnosing it is difficult, and replacement is costly. Depending on the car you drive, it may be $350 to $2600 for a new one. Small external fuel pumps are cheap to change, but in-tank fuel pump modules are not. If your fuel isn’t flowing to the engine, the fuel pump could be the problem. To get your ride running again, a new fuel pump could cost anywhere from $350 to $900 or more. 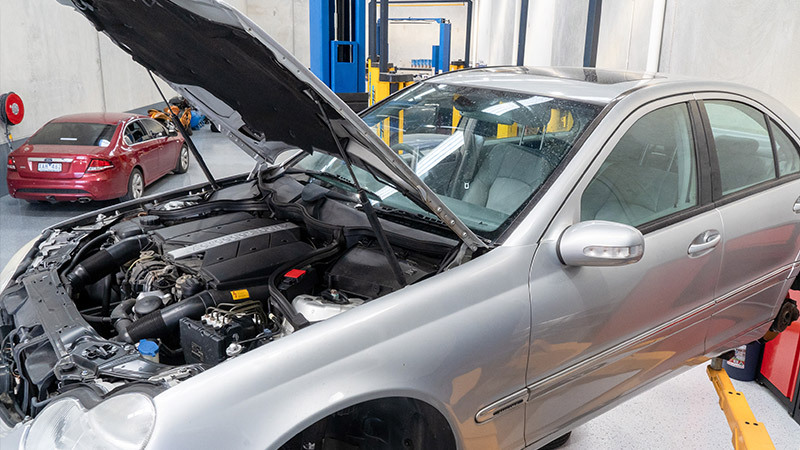 If your car is in need of any of these repairs, it’s definitely recommended that you let a qualified mechanic take care of it. Whilst the repairs themselves are expensive, you could cost yourself even more money by attempting to fix them yourself or getting someone who isn’t qualified to, just to try and save a bit of money. AutoGuru lets you easily search, compare and book a high quality, local mechanic in just a few clicks, so there’s no excuse! Jason is a Canadian automotive content writer with a background in the auto service industry, but he’s been hooked on cars and mechanics since childhood. One of his first cars was an ’80 Mazda RX-7 that’s sorely missed to this day. A ’68 Ford Torino GT, a ’66 Ford Country Squire Woodie station wagon, and a ’96 Suzuki GSX-R 750 have spent time in his fleet of cars, bikes, and trucks over the past two decades. Jason’s pride and joy is under construction – a turbocharged ’88 Mazda RX-7 convertible. Also on his resume is CASCAR official certification.